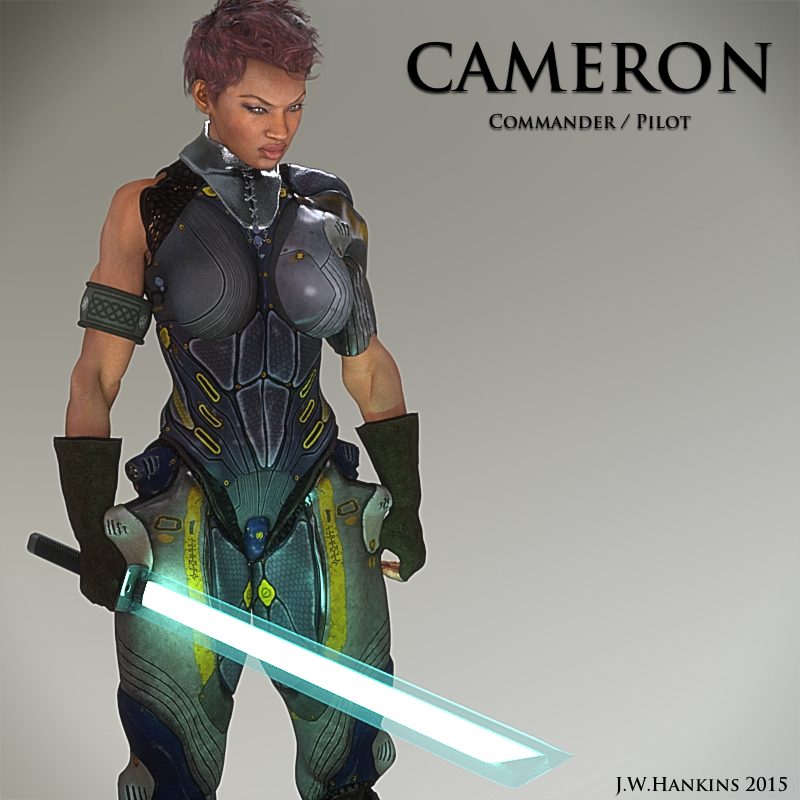 ITERATION:Zero is an episodic Sci-Fi/Fantasy series I’m working on following Cameron and her elite squad as they fight to protect humanity from not only hostile alien forces, but from itself, and who knows what else. Below are my designs for the main characters and a little background info for the story. They aren’t entirely Human, but we made them in our image to foster a form of kinship between us. They’re kept locked away in deep sleep, far from us, and only awakened when needed to do our biding. Meticulously engineered, along with countless others, they protect us from our enemies, which we have made many throughout the galaxy. All they know of us, we taught them, strategically. Their fierce loyalty and strong sense of duty towards us, reinforced by showing them only the best facets of our civilization. What we want them to see. They will die for us without hesitation, only ever having Human contact through the Scientists who create them and the Operators who train them. They defend our home planet, yet never have set foot on its surface, and they never will. Earth is safe as long as they are…out there. We capture and expand our territories among the stars through their calculated sacrifices under our command. If they ever discover the truth about us, the truth about themselves, I shudder to think what they would do.